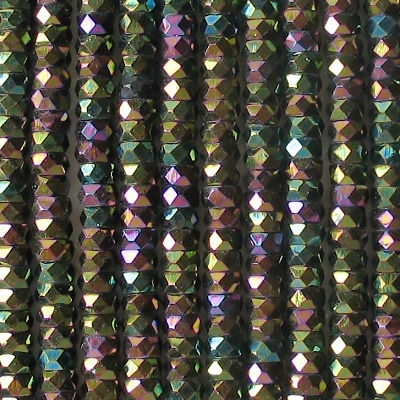 3mm x 6mm faceted rondelles. 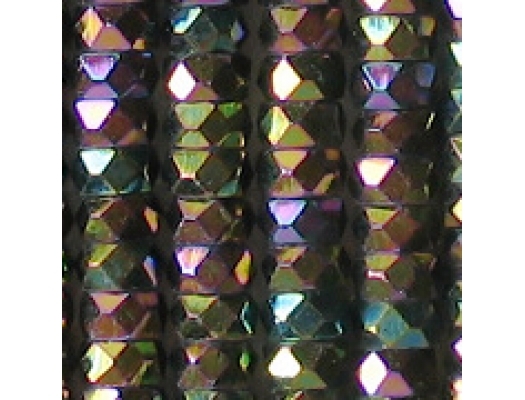 Dark green metallic beads with a multicolored luster coating. The shades in the coating include yellowish green, purple, aqua and possibly other colors. I don't know if the green color is in the glass or in the coating. The beads are in good shape, but please note that all fire-polished beads have some imperfect facets. 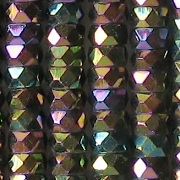 The beads look better than the picture indicates because the picture is a close-up, which emphasizes the defects.